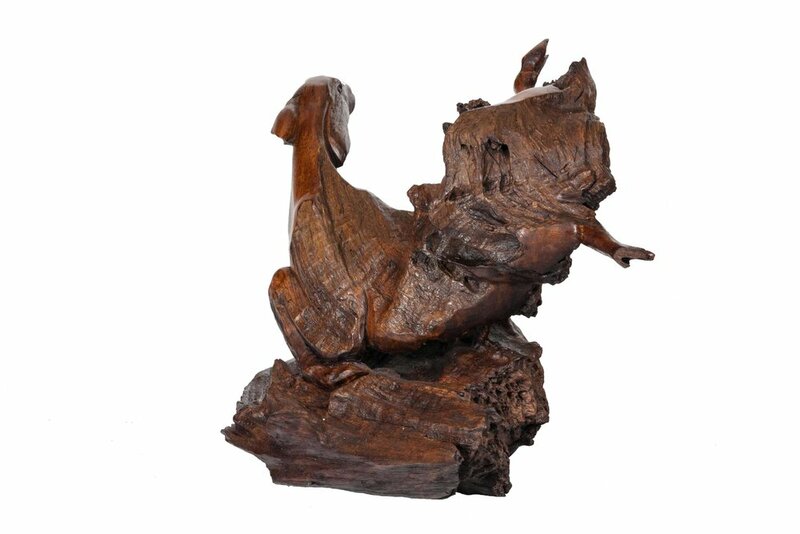 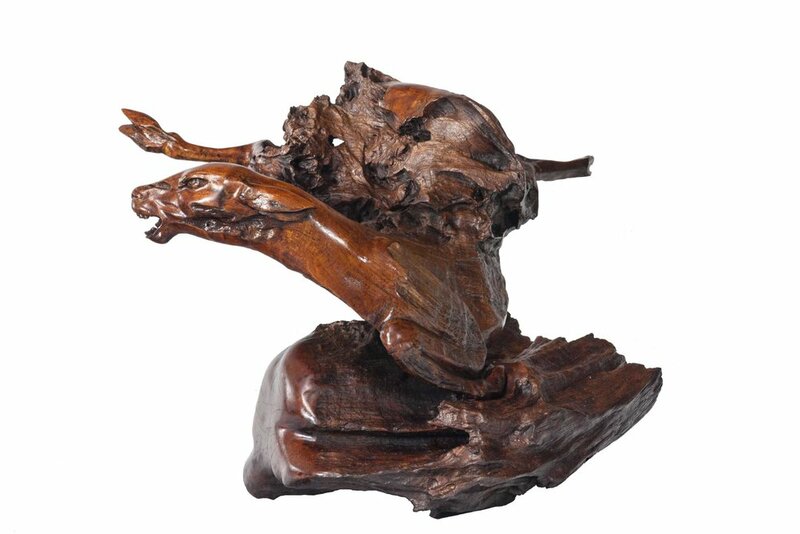 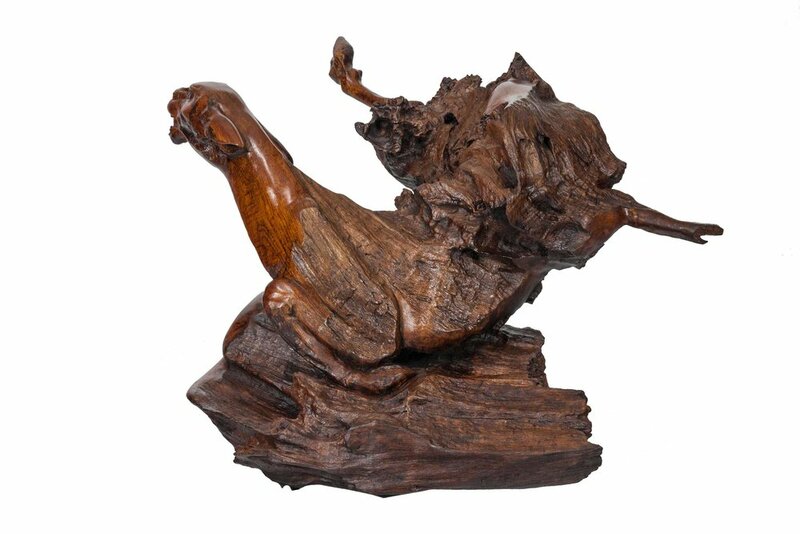 Twisted as if in flight or whirling, this polished wood sculpture by artist Vladimir Nazarov depicts The Fawn contorted in glorious form. 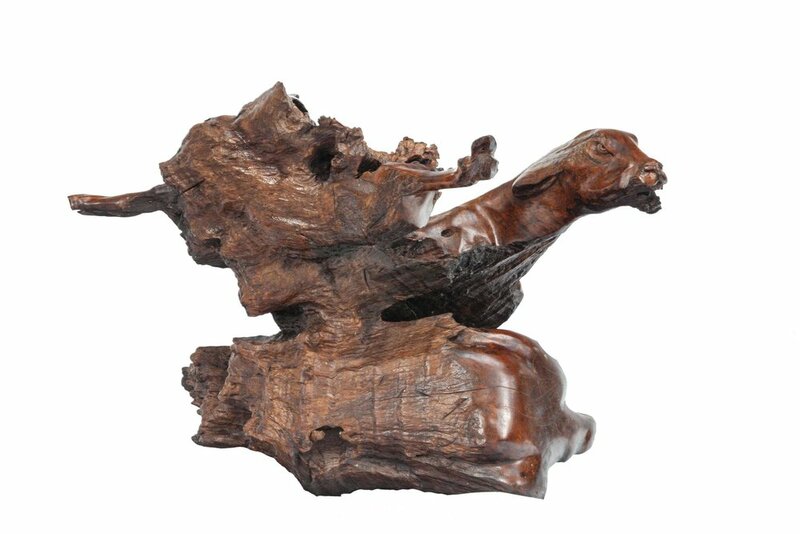 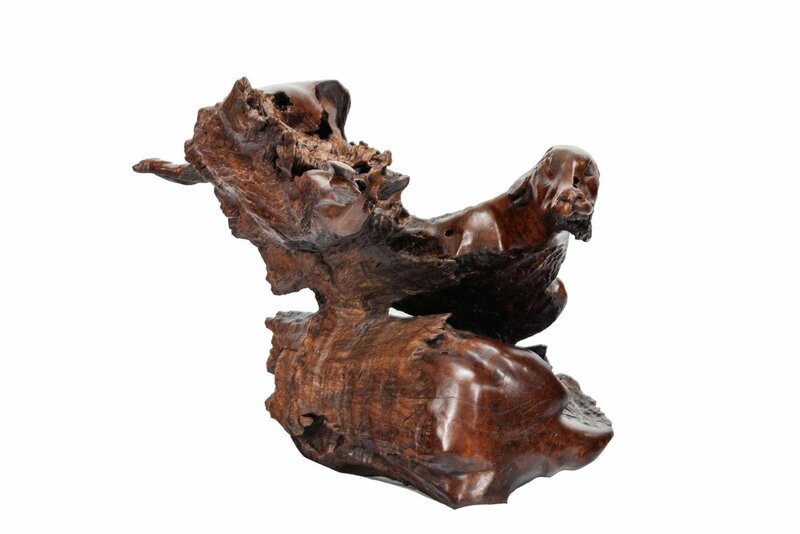 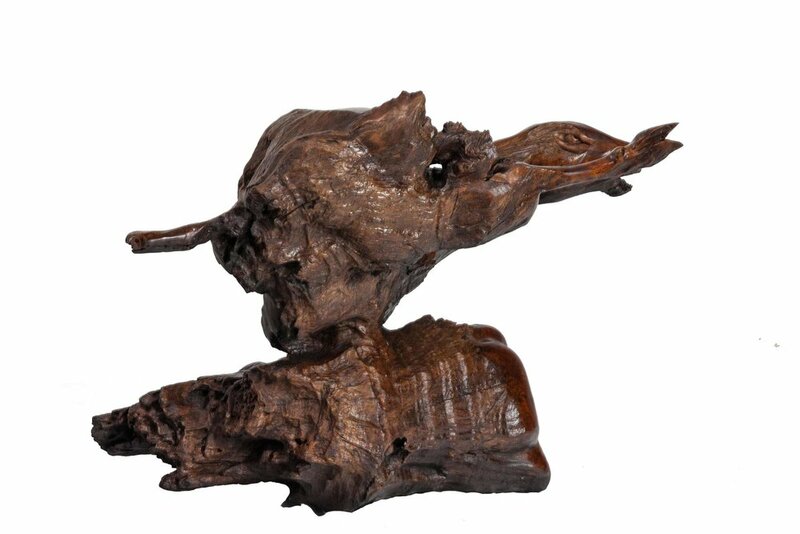 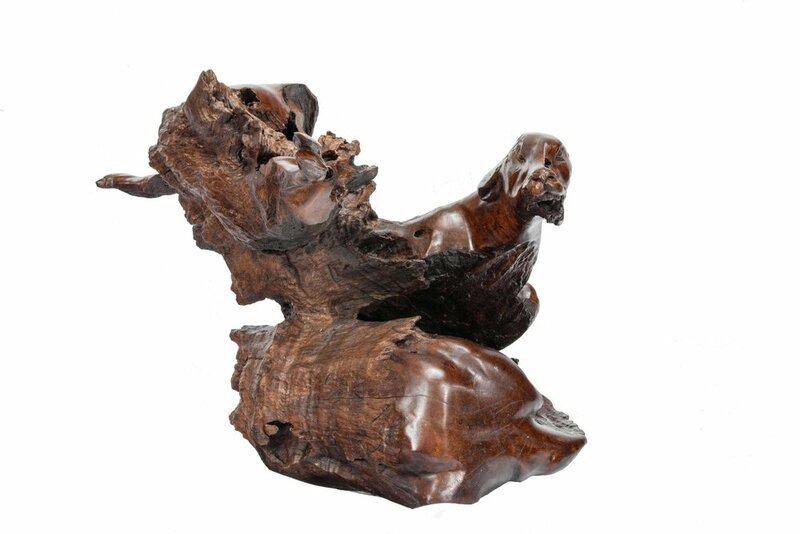 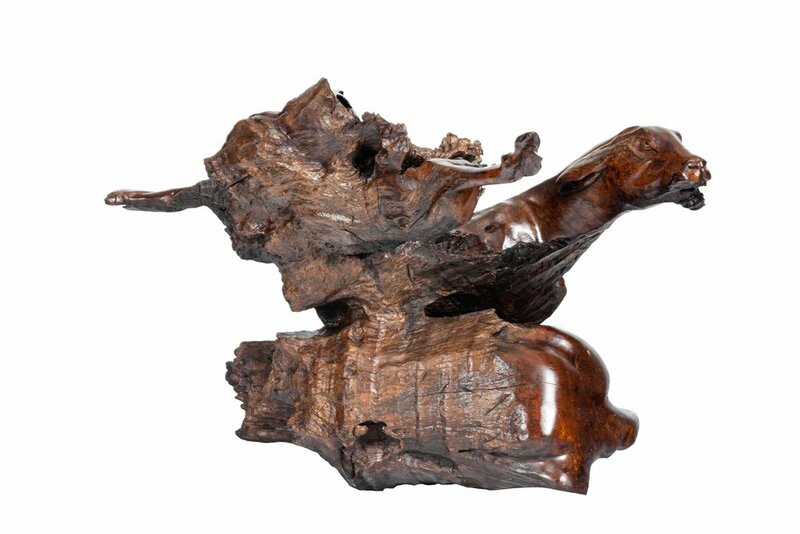 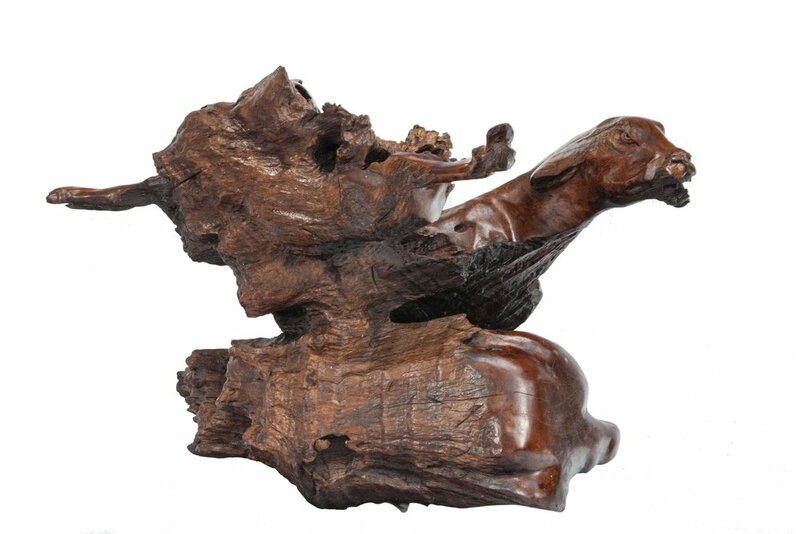 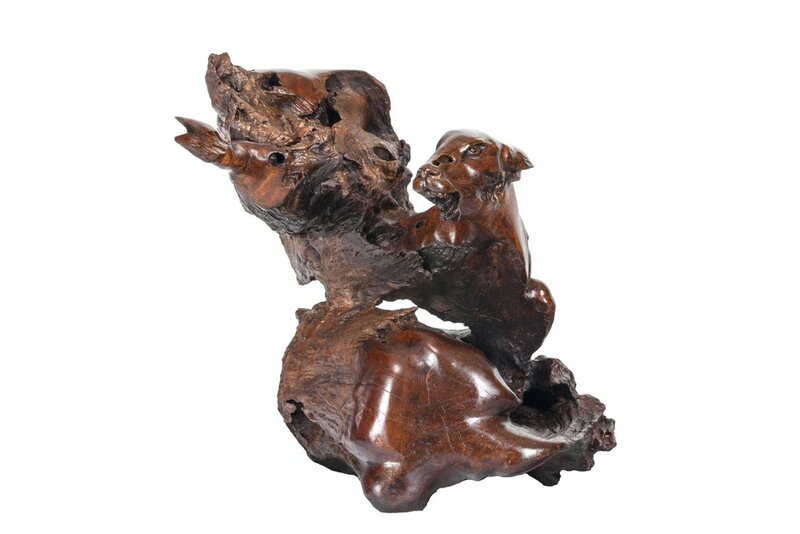 Adopting dead teak wood that the artist births anew as an animal totem, the sculpting process itself is a type of healing and transformative gesture celebrating life. 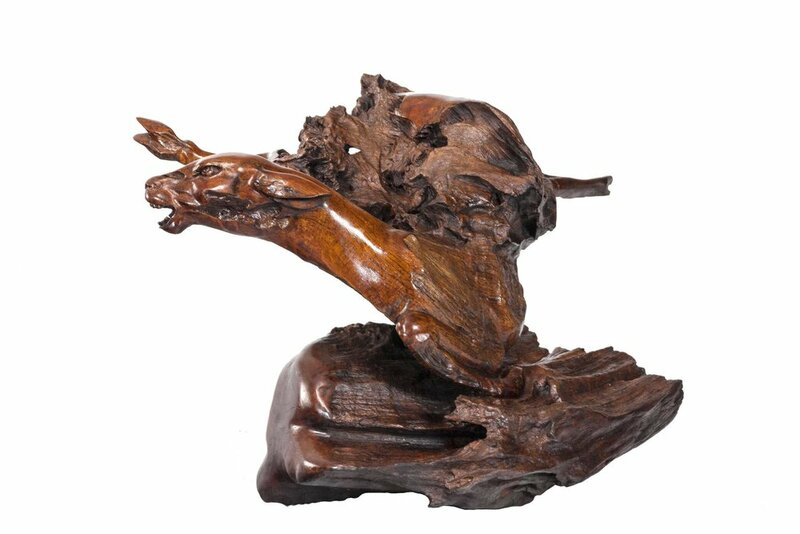 The Fawn in particular being the purest incantation of the Deer emblemized as a symbol of kindness, gentleness and caring.